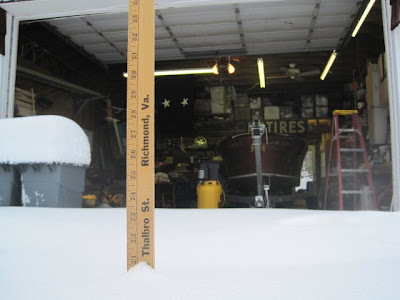 Thats It, We Are Blizzard Boating.. 20-ish Inches..
Now all I need to figure out is how to launch the boat. Posting At 65 miles Per Hour.. Wooohooo! Hey Matt – At least you don't have to worry about the wind blowing the lids off your trash cans!